Baylor>Robbins College of Health and Human Sciences>Faculty & Staff>Faculty Directory>Elise King, MID, M.A. 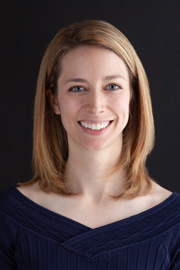 Elise King is an Assistant Professor in Interior Design at Baylor University. As an interior designer and design historian she believes that examining critically the designers and built environments of the past can enhance our understanding of contemporary life and design practice. Her research focuses on twentieth-century design innovators and exploring the intersection between theory and practice.